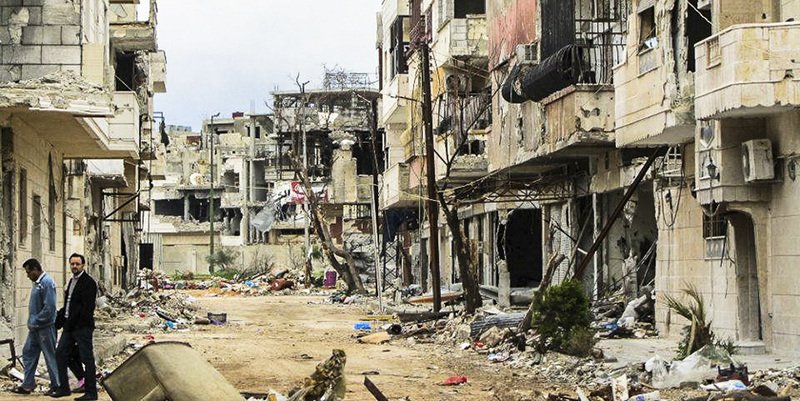 Syria, Yemen, and Libya are clear cases of de-development via destruction and devastation. Each has its own inter-ethnic, tribal, historical, political, resource, and economic stresses that have contributed to its present astonishing violence. One could write a library of books about what brought each country to the state it is in now. There is no one-size-fits-all solution to the multitude of crises each faces. It may be that Syria, Yemen, and Libya will ultimately be divided into smaller countries. While this would be unfortunate, it may be an inevitable part of the region’s transition. It also may take many years, if not decades, for these countries, whatever they end up being, to reach the point where the guns are silent. But silencing the guns will not necessarily bring stability and peace in the long run. If the underlying causes of the violence are not properly dealt with, these countries will endure recurring nightmares of destruction. 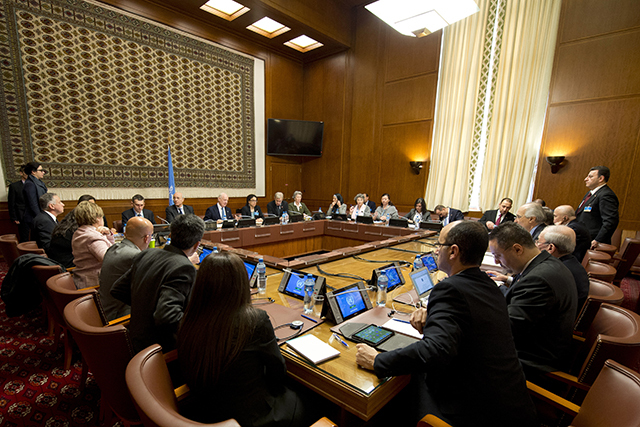 Staffan de Mistura, United Nations Special Envoy for Syria, meets with representatives of the Assad government on February 2, 2016 in Geneva. Indeed, if these countries are not developed and their people are not given realistic hopes and dreams for a better future, they will fall back into violence. Syria, Yemen, and Libya have shattered economies. Getting them back to a state from which they can grow with their people will involve massive injections of funds. Syria may need at least $500 billion, Yemen at least $250 billion, and Libya at least $200 billion. These amounts will need to be provided fairly quickly to stave off the demons of war and conflict, but not so quickly that the countries cannot absorb the funds and as a result fall into hyperinflation or worse.